finding a line. anne smith wheatpaste art piece. Artist Anne Smith created one if the first art pieces at the bowl. 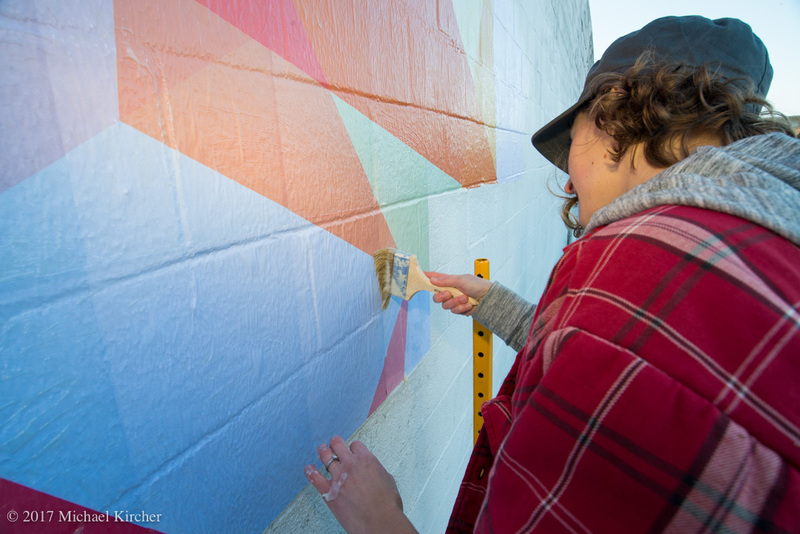 Artist Anne Smith finishes up her wheatpaste art piece on the cinderblock wall at the Finding A Line skate bowl in DC.